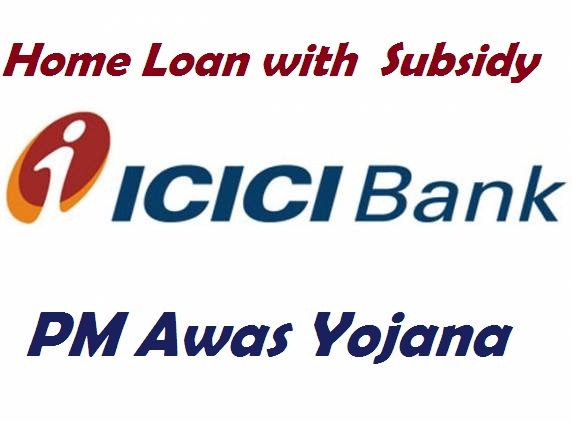 The Credit linked subsidy scheme of PMAY mainly targets the weaker sections of the Indian society such as Economically Weaker Sections (EWS) and Low Income Group (LIG) households; the ICICI bank has introduced this home loan scheme with lower interest rates. Sanctioning of the whole loan amount for these EWS and LIG people will be based on the loan pursuant repayment capability. The repayment tenure can be spread out up to a period of 30 years, based on the loan seekers repayment capability. The EMI amount will be significantly brought down for the benefit of the EWS and LIG people under this home loan scheme. Although the loan seeker can get a higher loan amount beyond Rs. 6 lakh, but however then the loan will be charged with a non subsidized rate of interest. ICICI bank offers lower interest rate of 6.5% as per the central government guidelines for lending home loans eligible borrowers. Apart from that, ICICI bankers strictly follow the government rules on keeping that low interest rate up to 15 years. To provide these loans under the PMAY, the ICICI bank has signed a Memorandum of Understanding with the National Housing Bank (NHB). This Credit Linked Subsidy can be obtained by the Economically Weaker Sections and Low Income Group households for the purposes of new construction, and additions to existing housings such as kitchen, toilet, etc, for the incremental housings. The house size being constructed under this home loan scheme should be up to 30 square metres for EWS category and up to 60 square metres for LIG category. It is also allowed to go for a bigger house construction under the scheme by the beneficiary. Below listed table elaborates the eligibility factors in details for availing the home loan under the PMAY scheme, for those who willing to apply PMAY loan an this will be more useful. 1 Who are eligible under this scheme? A family without having a brick and mortar house on their name in any part of the country, and those satisfying the income criteria. 2 What are the income criteria? EWS households who are having an annual income of up to Rs. 3 lakhs and LIG households who are having an annual income of between Rs. 3 lakhs and Rs. 6lakhs. 3 Are there any documents needed to be submitted to avail loan under this scheme? A declaration representing not owning a brick and mortar house, and an affidavit if not having an income proof. 4 Who are targeted under this loan scheme? All individuals and women borrowers who fall under the economically weaker sections and low income group households. i want to apply home loan under credit link subsidy scheme. my adress is below. My loan has been done from ICICI Bank in the last one year as under the Prime Minister’s housing scheme.But the subsidy has not yet been found. We have purchased MIG old flat in chennai (Combine-Wife & self) through ICICI bank under Home loan section. This is the my first home/flat. They have applied PMAY scheme for Rs.2.67 lacks and my bank account credited Rs.1,33,014/- only. Kindly let me know when the balance amount credited? Please forward the details.